For this blog, I thought I'd take a side trip into an area of the photography market that you may have heard of; the mirrorless camera. What is it and why might you consider purchasing one? I apologize in advance to the non-technical readers, but I hope the article is readable enough to explain the differences. How "SL" (single lens) cameras work. On all cameras, light enters the lens and travels down the barrel before landing on the back plane, where a sensor or film sit. In the more common DSLR (digital single-lens reflex) camera, TTL (Through The Lens) previewing of your image is through an optical viewfinder. Before landing on the back plane of the camera, it is reflected by a mirror up through a prism near the eye piece where you can see a representation of the image you are about to take. Because light cannot reach the back plane of the camera while the mirror is in the way, it has no way to strike the sensor. To actually take a picture, the mirror has to flip up out of the way. If you use the preview mode offered on some DSLR's, you cannot see the image through the viewfinder while you are using the screen on the back of the camera. In some ways, using the preview mode turns your DSLR into a mirrorless camera. "Mirrorless" interchangeable lens cameras (MILC), or DSLM (digital single-lens mirror-less) cameras also uses TTL (through the lens) previewing, however the light is captured by the sensor and displayed on a screen instead of through a viewfinder. This screen may be on the back of the camera where the camera must be held up at arms length to view it, or it may be in a small screen in a viewfinder (much like you may have seen in a video camera in the past) so that the camera can be held at eye level. Typically DSLM's bridge the gap between a full DSLR and a point-and shoot camera and are (at least so far) not adopted by serious photographers except in situations where the size of the camera is advantageous - such as in street photography. The body of the camera can be made much smaller and lighter since it no longer needs to house the mirror or the mechanism and space required to move the mirror out of the light path. Since the mirror does not have to be removed, there is also much less noise in the camera's operation. Since these cameras use interchangeable lenses, they provide many of the advantages of DSLR's in that a lens can be chosen for the camera to suit a specific purpose. However, since the mounts for these cameras are not typically compatible with existing mounts, you must purchase new lenses for the camera, which generally lessens their appeal to photographers who have invested significantly in "good glass". Not having an optical view finder (OVF) may mean that the resolution of the screen limits your ability to see an image as clearly as it will be rendered in the final photograph, especially in an eye level viewfinder (a small screen inside a loop that you would look into in the same way you look through a normal DSLR view finder) which would typically be smaller and of lower resolution. If the camera only has a screen on the back and does not have an OVF, it will require you to hold the camera at arms length when hand-holding, which is not nearly as stable as holding the camera at eye level (watch this video to see what I mean - these guys hold their go-pro on their chins to keep it stable - I got a chuckle out of how funny they look with a camera held to their chin, but it works!) While using a tripod will stabilize the image (and I always recommend a tripod when you can use one), it does take away from the advantage of carrying a smaller camera when you have to carry a tripod with it. Some Mirroless cameras come with screens that can be folded out and up or down, making it a little easier to hold the camera in a steady position and still see what you are shooting. 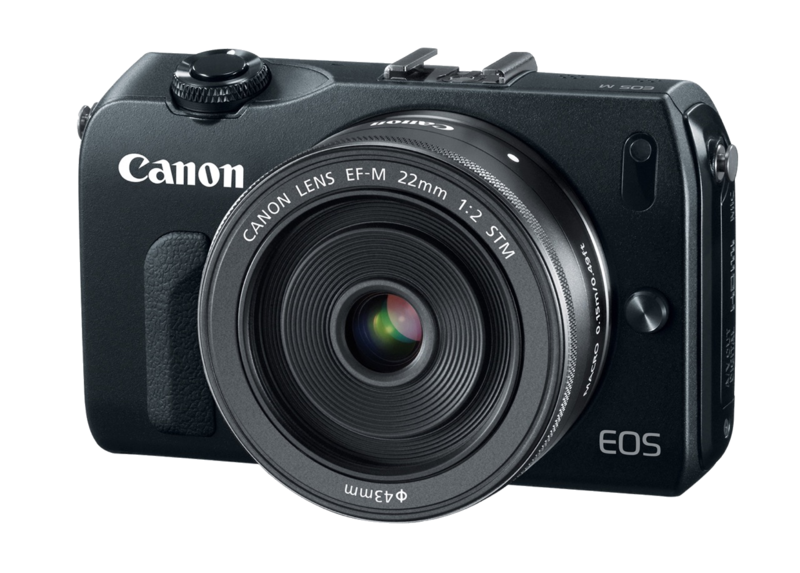 So if you are looking for a good interchangeable lens camera you can take anywhere, a mirrorless camera might be for you. If you are serious about your photography, or have a large investment in your lenses, you might just want to stick with your DSLR camera. There are lots of consumer grade DSLR's that will cost about the same as a mirrorless system, so there are no real advantages there either. If you just want to have a camera handy without the creative advantage of interchangeable lenses, then maybe you should stick with the point and shoot camera or your cell phone. What do you think? Have you bought a mirroless camera? What do you think about it? Share your thoughts in the comments.